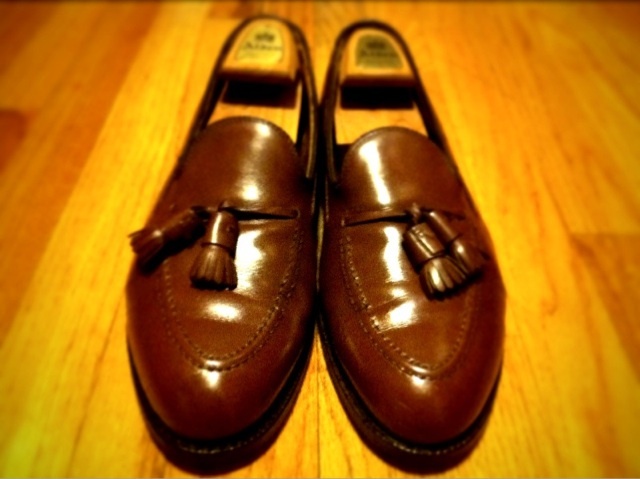 A little over a year ago, I had my trademark Tassel Mocs recrafted by the good folks at Alden. Then, lured by the infectious grooves of Mr. Kenny Loggins, the already trashed tassels lost their toe. I mentioned their demise to owner Mike at Brooks Shoe Repair in Chicago, and he assured me if I brought my shoes in, he’d take great care of them. Applying a special shoe paint and giving the soles and shoe pads a complete overhaul, The toe looks great. 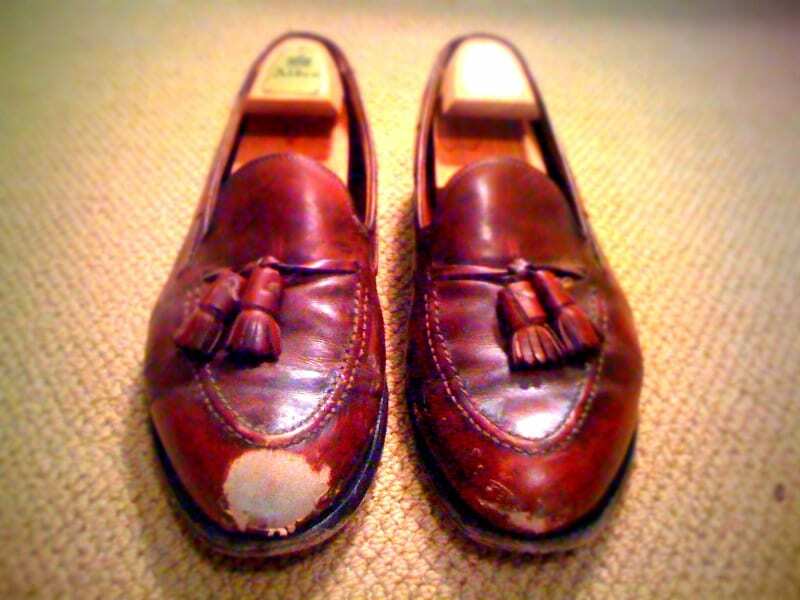 The paint looks a little phony, but I will beat these shoes to hell in no time, and no one will be any the wiser. Also, Mike’s repair cost half the price of the Alden recraft. Mike’s a great guy, I love talking shoes with him when I stop into Brooks. Wow, they did a great job!